Reuss: He’s shifting lineup, focusing more resources on electrics. 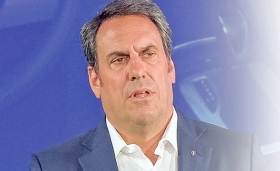 DETROIT — As General Motors braces for a shifting industry landscape, its most difficult assignment may fall to Mark Reuss, the 55-year-old mechanical engineer and road racer who leads the company's far-flung Global Product Group. Reuss has launched a restructuring of his operations, a vast network with 32,000 employees that includes r&d, engineering, design, safety, quality and product planning. His charge is to focus significantly more resources on autonomous and electrified vehicles — particularly battery-electrics — while streamlining GM's army of engineers. The changes — effective Jan. 1 — include expanded duties for Reuss' top lieutenants as the company prepares to launch at least 20 battery-electric or fuel-cell-powered vehicles globally by 2023. The restructuring is meant to better align the company's "priorities and accelerate our EV and AV development," said GM spokesman Mike Albano. As with product czars across the industry, Reuss is working to keep traditional models updated while pivoting toward a new reality — in GM's case, an all-electric future with "zero crashes, zero emissions, zero congestion." He's also shifting GM's vehicle lineup away from cars to crossovers, SUVs and pickups to align with customer demand. "Reuss has got a challenge because consumers are still not buying into EVs yet," said Stephanie Brinley, principal automotive analyst at IHS Markit. "That's a balancing act a lot of companies are having to sort through right now." The product development overhaul is connected to a multibillion-dollar restructuring announced by CEO Mary Barra last month. The companywide makeover could lead to the elimination of roughly 14,000 employees, including 15 percent of the automaker's North American salaried work force. It could potentially lead to closure of as many as seven plants around the world, including five in North America. GM began head-count reductions last month for salaried contract workers after a voluntary buyout offer to 18,000 employees did not yield enough participants to hit the automaker's cost-cutting objectives. Broader cuts to the salaried work force are expected in January. The company has not provided specifics on the number of cuts, but it is expected to be in the thousands. The staff reductions will be followed by an end to production at three assembly plants and two powertrain facilities in North America throughout 2019 — potentially putting nearly 6,000 blue-collar workers in the U.S. and Canada on indefinite layoffs. Dan Nicholson, VP of global propulsion systems, becomes VP of electrical controls, software and electronic hardware, overseeing software and controls on all vehicles. He’ll also be responsible for electric vehicle hardware development, including batteries and motors. Ken Kelzer, VP of global vehicle components and subsystems, becomes VP of global hardware components and subsystems. Jim Hentschel, VP of global product integrity, becomes VP of global integration and systems. Ken Morris, VP of global product programs, retains his title and adds propulsion responsibilities. Doug Park, VP of global electric and autonomous vehicles, retains his title and adds responsibilities for the emerging technologies. The revamp of GM's Global Product Group includes more integration of the Global Propulsion Systems unit — the former GM Powertrain division — with other product group divisions. It also realigns priorities and responsibilities of senior leaders. At least five vice presidents — half of Reuss' direct reports — will get expanded responsibility for electric and autonomous vehicles. Dan Nicholson, global head of propulsion systems, will add oversight of electronic software and controls on all vehicles as well as responsibility for hardware development for EVs, including batteries and motors. The changes affect such established GM engineering executives as Al Oppenheiser, longtime lead engineer of the Chevrolet Camaro, who will become a chief engineer focused on electric products. 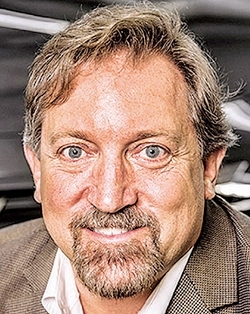 Reuss, a 35-year GM veteran and son of former GM President Lloyd Reuss, is expected to focus on new or redesigned crossovers, SUVs and pickups ahead of the larger push for electrification that will follow the expected debut of a next-generation EV platform in 2021. The new EVs are planned to fill white space as the company ends production of six cars in 2019 — the Buick LaCrosse, Cadillac CT6, Cadillac XTS, Chevrolet Impala, Chevrolet Cruze and Chevrolet Volt — for the North American market. Those six have, on average, accounted for 46 percent of GM's U.S. car sales since 2012. But sales of the nameplates have been nearly cut in half during that same period. The LaCrosse and CT6 will continue in China, while Cruze production continues in Mexico, China and Brazil for sales outside North America. Production of the XTS in China is expected to end in the next year or so. Production in other markets could allow GM to import the vehicles in the event of a market shift back to cars. However, analysts don't believe GM would make such a move anytime soon. It's unclear whether GM plans to continue using the Volt's Voltec plug-in hybrid system with extended-range capabilities. GM had been expected to use the technology in other vehicles, including a small crossover. However, those plans may have changed after the automaker announced in September 2017 its vision for a zero-emission future. GM has faced outside pressure regarding its work force reduction and plan to shift focus to EVs. President Donald Trump last week said he doesn't believe the EV shift will succeed, and he asserted a new trade deal will make it harder for the company to move work out of the U.S.
"They've changed the whole model of General Motors," he said in an interview with Fox News. "They've gone to all-electric. All-electric is not going to work. ... It's wonderful to have it as a percentage of your cars, but going into this model ... I think is a mistake."